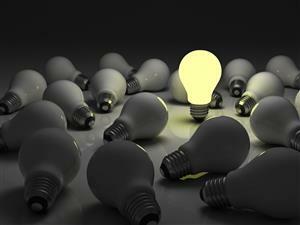 In a world of content marketing saturated by sameness and endlessly parroted ideas, creativity is how you stand out. However, simply telling you to "be creative" or "be original" is not helpful. And any site that claims it can teach creativity is likely not worth your time. So what can you do? Turn to the media industry. That doesn't mean, "copy exactly what media organizations do," because that's not realistic. But you absolutely can learn from what they've discovered over many decades of trial and error. We asked Neil Katz, Editor-in-Chief and VP of Digital Content at The Weather Channel; Mike Orren, President of Speakeasy; and Peter Beller, Vice President of Content at Ebyline and Adjunct Lecturer at University of Southern California Annenberg School of Communications to share their insights. Read on to see their advice on how they find inspiration, the best ways to brainstorm and more. To see why the world’s leading media companies use ScribbleLive to create, distribute, and optimize digital content, click here for a free demo. For starters, consume as many different types of content as you can. That entails the standard sources (books, newspapers, magazines), but also some you might not immediately consider -- including your friends. "I used to get some of my best story ideas as a journalist from talking to friends," Beller said. "I personally spend a lot of time with news and magazines. [F]inding inspiration outside the workplace is just as important: movies, pop culture, design, art. Of course it helps to start off knowing what people in your industry or audience are thinking about." This is one area in which modern content creators -- whether you're brand new to the game or a grizzled veteran -- have a distinct advantage. We have reams of data at our fingertips to help us make informed decisions about the kinds of information people are seeking. If you'd like to learn more about how ScribbleLive customers use data to create content that drives real-world results, click here to sign up for a free trial. Data, while immensely useful, has to be one leg of the stool. You still need to engage with the outside world and find new and different ideas. Having a diverse set of friends, colleagues and coworkers is a great place to start. "For our team, one of the best inspirations for creativity is having outside interests," Orren said. "We have actors, comedians, musicians ... getting outside the work seems to be the best way of keeping creativity at the fore. These folks are full time with us, but perform professionally in their precious spare time." Nor should you discount the value of social media as a source for inspiration -- in fact, you're doing yourself a disservice if you do. Not only do you miss out on a vital and expanding world of content and conversation, but you also miss out on chances to collaborate with influencers. "Vine is the new vaudeville -- with 6 seconds of slapstick comedy. Instagram is the place for gorgeous things. YouTube holds a lot of formats, but is a great place for talking head personalities," Katz observed, "All of these social platforms are also creating new kinds of artistic collaborations as people from all over the world star in each other's productions, make music together, and so on. Its a great age to be creative." It's also worth asking yourself what others are not doing. As you read through stories, especially ones which many places are covering, ask yourself: What question(s) are they not asking or answering? Don't be afraid to venture into places and seek out sources that others have not. Their oversights can be a massive advantage for you. "A really good source is to look at the taboos," Orren suggested. "We talked recently to a shoe company who was struggling for original content and wound up embracing the idea of "earning" your kicks via the uncomfortable break-in process. It was something their marketing didn't talk about, but their customers considered a badge of honor. A sadly overlooked idea source is your staff and customers. No one else knows more about what questions are being asked and need answers via content." Finding a muse on your own is well and good, but the ideas produced by groups within your company can be very powerful. Ideas that have the benefit of multiple perspectives have the benefit of being better informed. "It's not enough to encourage involvement-- you have to solicit, if not demand it," Orren emphasized. "In our world, a marketer's job is to sell the company's reality to the market. Without input from all quarters, that reality is skewed. This is where content marketing really is like journalism. You have to conduct an investigation to find the ideas and realities that you're selling." Collaboration is something to strive for consistently. You should be talking regularly to sales people in and client success managers and executives to get their input. It's also important to take that input seriously and to to frame expectations accordingly. "Content really does need to be a team effort," Beller said. "Getting folks to participate effectively is more important than getting them to sign up and contribute once. Two ways to accomplish this: make sure they feel like they have a stake in their own hard work and be absolutely clear what's expected of them." Don't make the mistake of conflating input with the idea that every person must be heard from every time. Start with what you hope to accomplish with the piece and determine which groups or individuals can best help inform that effort. Giving everyone (or even a lot of people) a say in all ideas is going to make the actual creation more difficult. "I tend not to like widespread brainstorming," Katz opined. "I feel we can get more done with small focused groups. Otherwise it's like a suggestion box with random thoughts. Sorting through it is time consuming and the people assigned to actually make something won't own the idea. So it's hard to build the collective energy needed to transform something from a one line thought to a real creative execution." You can do things to encourage widespread participation without being deluged by ideas that haven't been fully fleshed out. Remember, not every creative meeting has to result in a concrete plan for a piece of content. Sometimes it's valuable to step back and use those sessions to uncover new concepts that will later result in specific ideas. "Brainstorming doesn't have to be a chaotic free-for-all," Beller said. "You can use exercises to generate ideas or formal structures such as polling. The results may be a mixed bag but one likely outcome is getting more people excited and involved." If you need more ideas on how to create great content, check out The Ultimate Content Marketing Guide. Planning might seem too mechanical in nature to play a role in creativity, but it's essential, especially in the world of content creation. Sudden flashes of genius happen are seen about as often as Halley's Comet, and probably less. "Originality takes a lot of work and planning," Orren emphasized. "It doesn't just happen in a moment of inspiration. It's a discipline that requires focus." It's possible to make the mistake of spending too much time planning and not enough on creation, but having a plan and executing against it is a surer path to success. "Planning allows you to be rigorous and committed to original content in a formal way," Beller observed. "It facilitates involving a team, which is key to producing more than the occasional creative piece of content. But planning isn't the point, it's a tool. I've seen folks devote far more energy to the planning than to executing. Scale planning as you scale content production, but make sure the horse goes before the cart." As for trending topics, relative to your content's purpose and voice, there are some you absolutely cannot ignore. If it fits within your goals and is something your audience would expect to see, cover it. However, in today's age, finding something original to say about a trending topic is becoming almost impossible. This is where knowing how to curate effectively becomes a distinct advantage. "I don't think you can be that original with trending topics," Katz said. "The nature of trending is a traffic chasing. Your are playing a very tactical game at that point. Nothing wrong with that. It's part of the traffic game, but its not really where original ideas come from." "The "Oreo moment" at the Superbowl spawned a million ill-conceived me-toos that offend more often than they are remembered," Orren observed. "Originality is great, so long as it serves the content's purpose and isn't for its own sake. We find that by planning a content calendar with the basics well in advance, it frees you to watch for the serendipity." Creating great content is never going to be simple, but there are things you can do to enhance your chances of success. Remember that there are valuable lessons both in the pieces that works as well as the ones that don't. "One piece of advice: To be creative is to accept failure," Katz noted. "It's hard. It usually doesn't work. It doesn't matter. Build a culture (and clients who can roll with this) of failing in the short term to win big long term." Scroll down to see the chat in its entirety and learn who our guests admire in the content creation space, the value of measurement and the work they've done that they're proud of. If you want to check to see how your current efforts measure up try out our Free Content Marketing Grader. Extending Neil's thought to our world: Nothing tells us more if we've hit target than watching conversion rates on a pixelated, programmatic ad campaign targeted at the content consumers we've gathered for a brand. Red Bull is pretty oustanding. Not many companies have the guts/money to send someone to space. To Mike's point, maybe that's the definition of successful original content: Red Bull, GoPro and others are creating content that deserves to live independent of the product but still closely associates with the brand. In terms of a creative campaign we're proud of: We had a car dealer who didn't have much differentiation besides that they would "take anything for a trade." Literally anything. So we made that a weekly content series on their social streams – the story of the weirdest item traded that week. Hairspray cans, grills, even unmentionables. Fun stories and reinforced their uniqueness. We've been working with DELL computers for a long time and that's allowed us to earn their team's trust and try some ambitious stories. One of my favorites was an exploration of the technologies that would have allowed the missing Malaysia Air flight to stay in constant contact with the ground. Does that sell more DELL technology? Maybe. But it was a tech story that hadn't been given it's due in the media. That's cool, Peter. That's the gold we're always mining for. A good story that incidentally sells product. It's hard work to do both - and people doing just one or the other are creating the kind of noise that makes it harder to stand out. A big thanks to everyone who joined us today and a special thanks to our excellent panel. As a final question: What one lesson about originality do you want people to walk away with today? I think the big lesson is that originality takes a lot of work and planning. It doesn't just happen in a moment of inspiration. It's a discipline that requires focus. Don't be afraid to get creative and try something new. It's the only way to stand out from the crowd. Thanks for having me and a pleasure to join such an accomplished group of panelists. as far bragging about oursevles, I love th work weather channel did with Chevrolet, creating mini movies on everyday people who do something extraordinary to save someone from a storm. It's called hero next door. Thanks so much for the chat. was a ton of fun. one piece of advice: to be creative is to accept failure. its hard. it usually doesn't work. it doesn't matter. build a culture (and clients who can roll with this) of failing in the short term to win big long term.